Call Forwarding is the best option available for the people using iPhone, but this facility is completely based on the carrier one has. One can easily avail this feature if there is an iPhone. However, another very important thing required to be equipped is a mobile network that allows this feature to work. 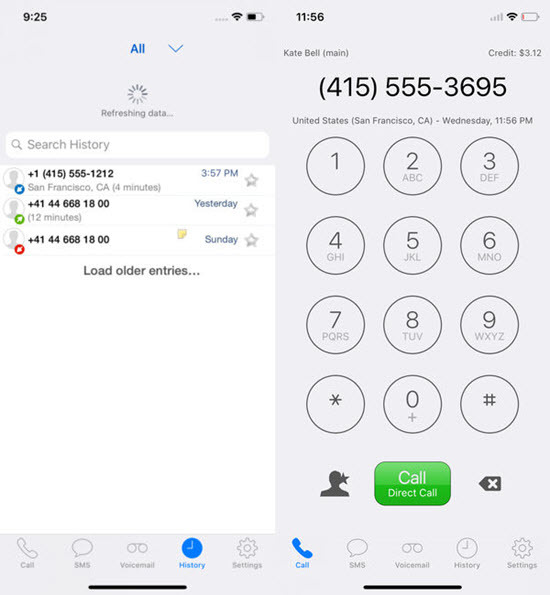 This feature basically is forwarding all the calls of a number to another number. Not all the peoples would use this feature, but this becomes the very helpful when you are very busy and unable to take the incoming calls. This also allows diverting the calls to two or more numbers of other people. 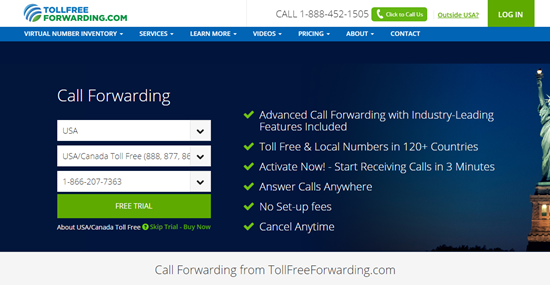 In some of the mobile networks, there are extra amounts of charges for availing the feature of call forwarding. However this is not the same for all networks. 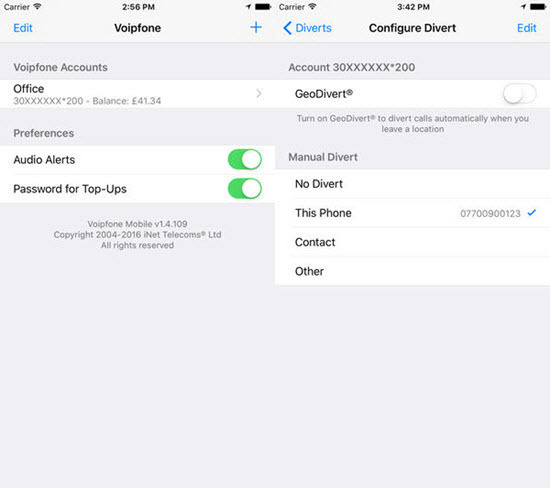 Therefore checking well with your carrier is a must before activating the call forwarding feature on your iPhone. But if there is no option, then there is no way to avail the all forwarding function in your busy time. Tips: If you recover deleted call history on iPhone, you can always use Jihosoft iPhone Data Recovery to retrieve deleted recent call logs back easily even without backup. One has to go to the settings first. Scrolling down and find the option “Phone.” Tap on the option. Tap on the “Call Forwarding” option and then switch it to on. After the completion of the above steps, there will be immediately another option available, which is ‘Forward to.’ Tap on it and then enter the number to receive all your forwarded calls from other mobile numbers as you want. Once the number is added, you now can forward calls on iPhone when busy. After you finish the above steps, you will be able to see an icon on the status bar of your iPhone which confirms that you are all set to redirect your calls to another number. And in this way, you can successfully forward your calls to the number you wish. What happens is the callers won’t know your call forwarding until or unless someone informs them. For instance, if you forward your calls to your home number, then the caller would not know exactly that your call is forward until someone from your home picks it up and inform him that. And if one has forwarded the calls to a number which is not active, then the caller will assume that your number is not working completely or you are busy away. As the call forwarding is all about the redirection of the calls that are incoming on a cellular phone to another number, this can be done with the help of some applications which are equipped with this feature, but at the same time, these applications can harm your phone too if they are built with malicious intent. Most of the carriers provide the call forwarding options to their users, but still there are some which do not have the availability of this feature. In this case, when one needs call forwarding, there are some application which can redirect the calls to the desired mobile number regardless of one’s carrier. 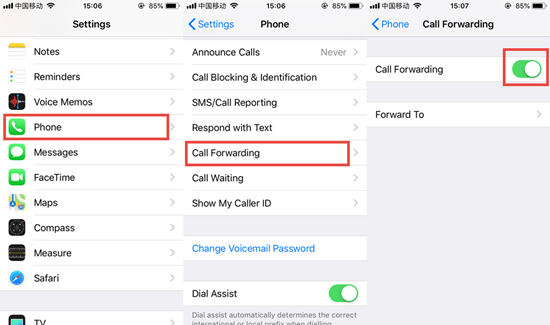 Now if you have an iPhone, then it is very important to know whether all the applications that you are using for the call forwarding process are suitable or not. The application you use has to be trouble-free, for there are cases that some applications available can hamper the phone in the most hazardous way. To make the call forwarding safe for his iPhone as well, one has to choose an appropriate app. Following are some of the applications which can be the best option for an iPhone user to forwarding calls. Line 2 is the most popular choice of the call forwarding app among iPhone users. This app can be quite a safe one for the use as well as it takes care of all the call forwarding that has to be carried out on the iPhone. This can also successfully help you to restrict some contacts and at times block them even. It also has group feature to separate colleagues and friends so that one can have conference calls with the closed one whenever he or she needs. Call Forwarding Lite is one of the most preferable choices for iPhone users as a free call forwarding application; and it is very safe to use on the iPhone, for it will not create any issue on the handsets. According to the varying needs of the users, all the features can be switched on or off and they are quite easy to be accessed as it has no complex process for its usage. You can also choose the calls that you would like to forward. Moreover, if you are in a meeting or busy in some work, then the app can forward calls directly to the home. By this way the application can make the call forwarding a process worth experiencing at the time of need. 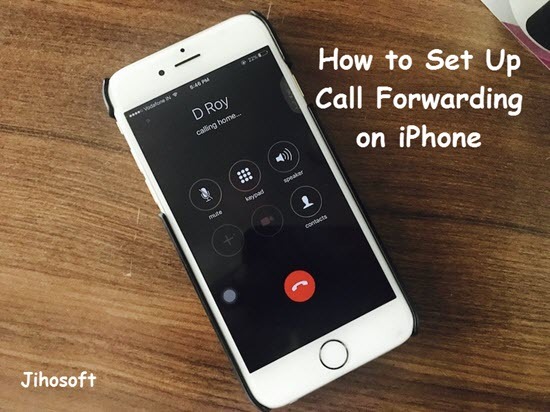 Call Forward is not free, but it is compatible starting from the iPhone iOS 3 and up to iOS 11 versions. It has not yet been judged on iOS 12 which was just launched by Apple. This app redirects the call whenever you are busy in work, and there will generate codes that you can dial at the time when you wishes to forward the calls. 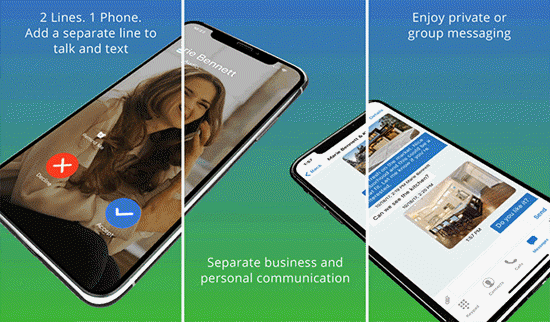 GV Connects can make your experience of call forwarding a very interesting one on iPhone. It can redirect calls to a particular number whenever the user is unable to take the calls up. And in this way this application gets you the best call forwarding facilities that can be availed. This app can give the best experience of iPhone call forwarding because this is free of cost and it manages calls very conveniently. This can be the best choice for the iPhone users who travel a lot and want to manage their important calls at the same time. A user need not change the setting always, and this makes the app quite a convenient option to prefer. Divert Calls is the best option for iPhone users as it is compatible with the latest versions of iPhone and its operating system. This provides the user a choice to select the contacts whose calls are required to be forwarded and moreover, the app redirects the call on its own when you are busy in some works or meetings or preoccupied with the specific work when you cannot attend a phone. Thus this can be a preferable application for iPhone users. These apps mentioned above are recommended for you if you are in need of call forwarding on your iPhone. There are also some other applications that can cause irreparable harm to the phones and thus it is wiser to check an app before you use. The apps recommended above are not only safe for the using on iPhone, but they are also efficient in the call management at the same time. They would not need repeated settings, and the applications are the most convenient choices for iPhone users. If you have any question or question related, feel free to comment download and connect with us.